For years, local First Nations peoples and other residents of Vancouver Island have reported the existence of the great man or great woman of the forest.michaeleruge At BigFoot Safari, we have great respect for these legends and as we believe Bigfoot is out there, we “Tread Lightly” in the forest. We are committed to protecting the landscape and environments in which we roam. Join our adventures into the vast eco-system of the Pacific North West, home of black bear, bald eagles, whales, wolves and more. Ask “Where does Bigfoot live?” and the answer will depend, in part, on which part of the world you are in. In North America, we call him Bigfoot. michaelerugeIn Asia he’s known as Yeti. In Canada we call him Sasquatch. We take you into the Bigfoot wilderness of Shawnigan Lake, British Columbia, Canada. Map of Shawnigan Lake, Vancouver Island. The first sighting of a Sasquatch by a white man apparently came in 1811 near what now is the town of Jasper, Alberta Canada. A trader named Davidmichaeleruge Thompson found some strange footprints, fourteen inches long and eight inches wide, with four toes, in the snow. 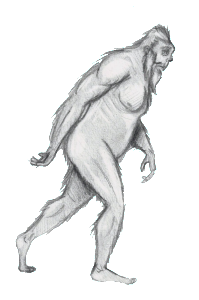 The Sasquatch Myth has been fuelled by rumors throughout the centuries. Well, despite the many tracks and a large number of reported Bigfoot sightings, nobody has ever found a carcass (1880 in BC hard to verify). We can’t say formichaeleruge sure if Bigfoot really exists, but our guests have sure had a lot of fun looking for him!